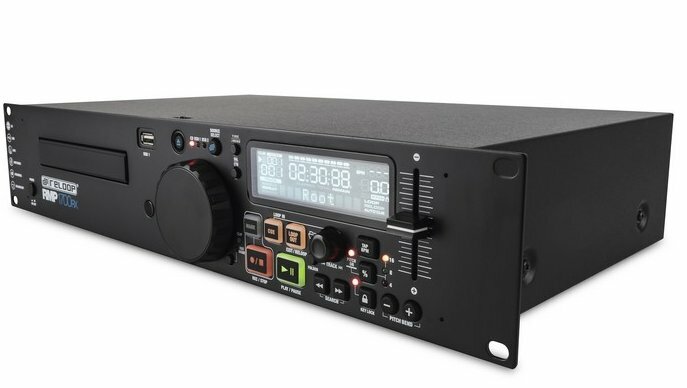 The Reloop RMP-1700 RX is a 19" rack-mount media player aimed at mobile DJs, event organisers, audio installers and anyone in need of a robust, high-quality media playback system with advanced DJ and recording features. The RMP-1700 RX has a front-loading CD input and 2 USB ports for playing and recording MP3/WAV files. As well as the clear and simple front-panel layout, a handy remote-control is also included for easy access to all relevant functions such as transport, loop, cue, pitch and volume.